Maria Wharton currently serves as the Director of Compliance for Hospice of the Chesapeake. She joined the organization in 1995 and has served in progressive roles throughout the organization, serving within the clinical, education, quality and compliance departments. 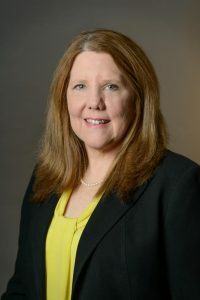 Wharton works collaboratively with the CEO and the Board in providing overall responsibility and accountability for the oversight and direction of Corporate Compliance and Risk Management programs and initiatives which include compliance with Medicare’s Conditions of Participation and all other applicable state and federal regulations, as well as accreditation standards. Prior to joining Hospice of the Chesapeake, Wharton provided case management to patients and their families at Hospice of Marin in California and Hospice of Northern Virginia in Virginia. She holds a Bachelor of Science in Nursing from San Francisco State University in California and a Masters in Healthcare Administration from University of Maryland University College. Wharton is certified in Hospice and Palliative Care and is a member of National Association for Healthcare Quality and American Health Information Management Association. Wharton has shared her expertise with the hospice and palliative care community locally, presenting at conferences for the Hospice and Palliative Care Network of Maryland and the University of Maryland’s Palliative Care Journal Club. She has presented on the national and international level at the American Academy of Hospice and Palliative Medicine/Hospice and Palliative Nurses Association conferences.